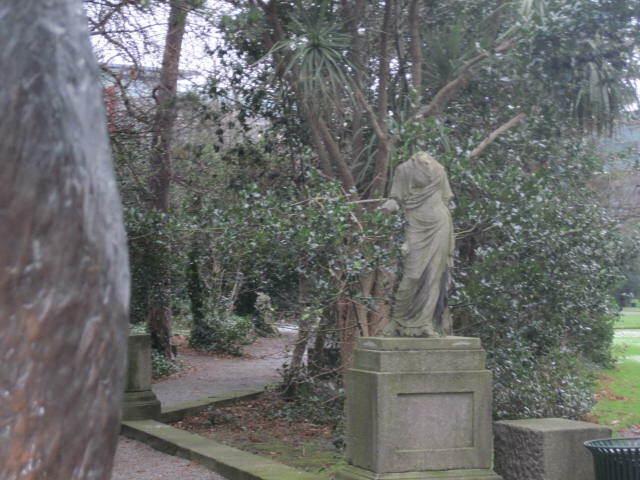 It was last month when I chose to visit the Iveagh Gardens just north of St Stephens Green. 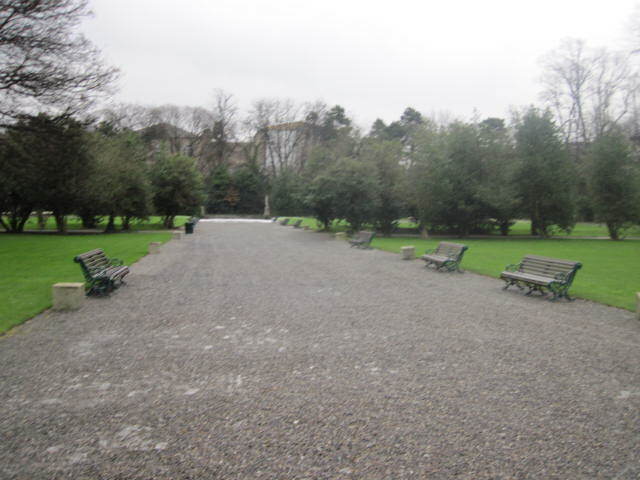 On the whole, I like the Iveagh Gardens. I like the layout, the sunken lawn and the symetry of the main features. 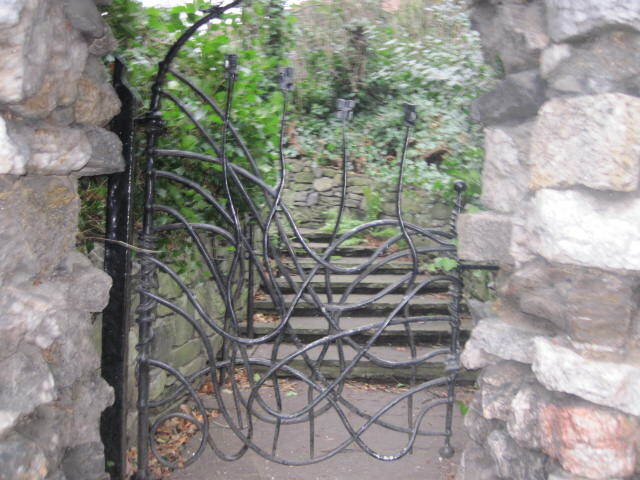 But on this occasion I was a bit surprised with some elements of the grounds. The Iveagh Gardens were originally given to University College Dublin by Lord Iveagh in 1908. 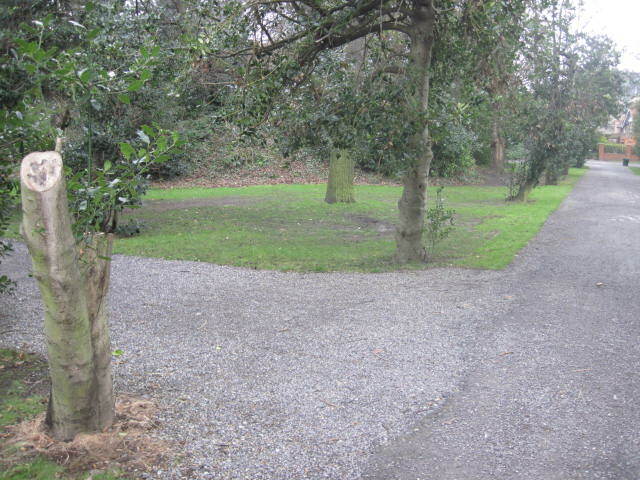 The gardens are now under the remit of the OPW. 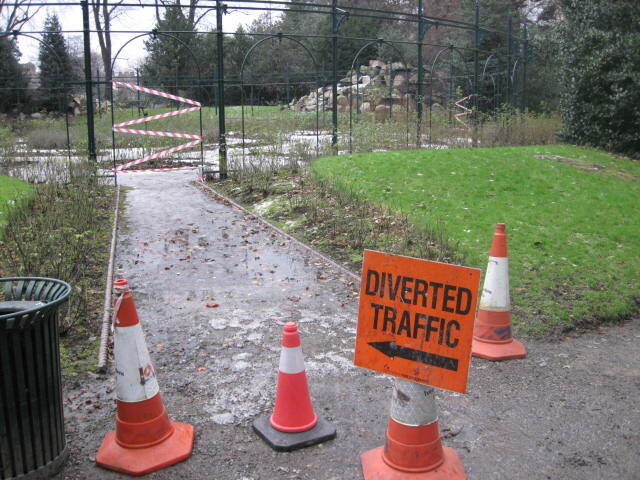 The waterfall was closed off, which is fine, but road cones and some other paraphernalia seemed to be strewn there and the rose area was closed off. These bits one can live with and are easily resolved. 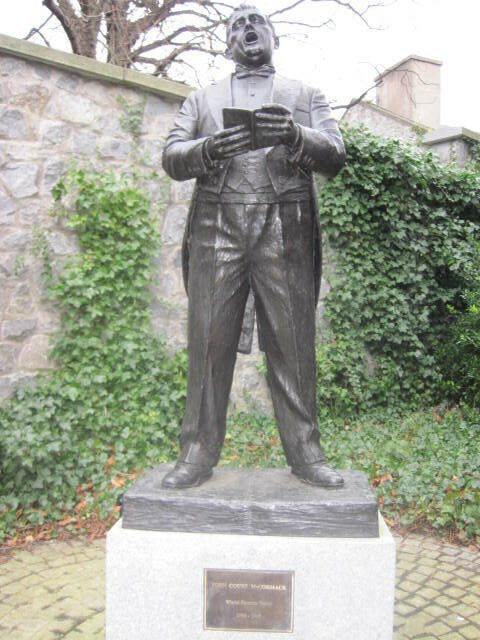 But when you see statues/ figures with parts removed and at the same time a brand new looking [and therefore slightly out of place] sculpt of John Mc Cormack one wonders mildly. No offence meant to the Mc Cormack people…. but I could think of more fitting places for such a sculpt. 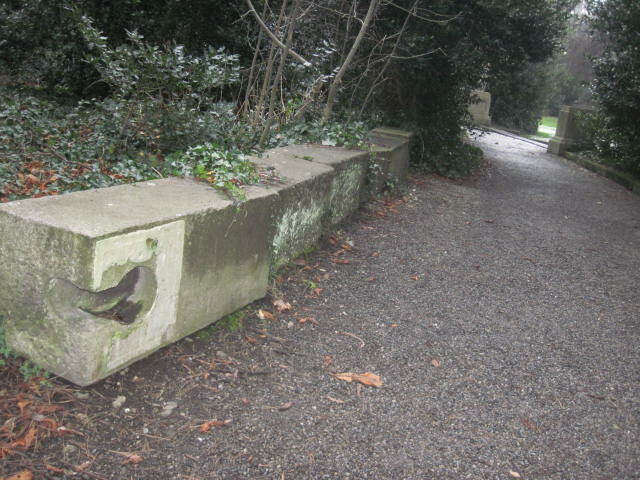 I suppose I may have thought that one would restore the more historic pieces before bringing in the brand new [?]. 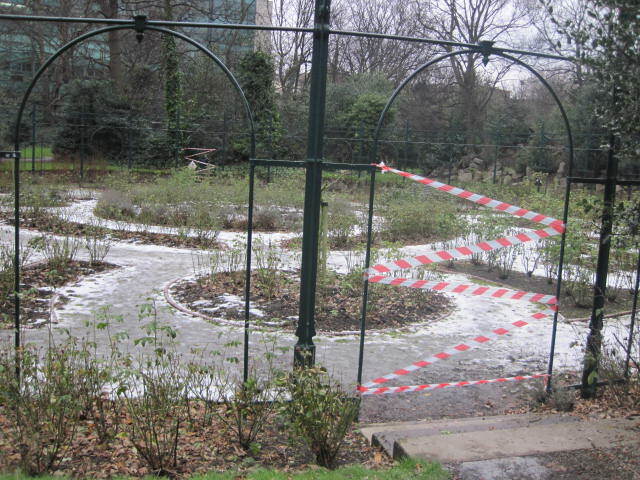 The main water features were also turned off, the lawns [acknowledgment of winter weather here] were in disrepair and the trees had a fair amount of suckering growth. Not a lot going on being quite honest. 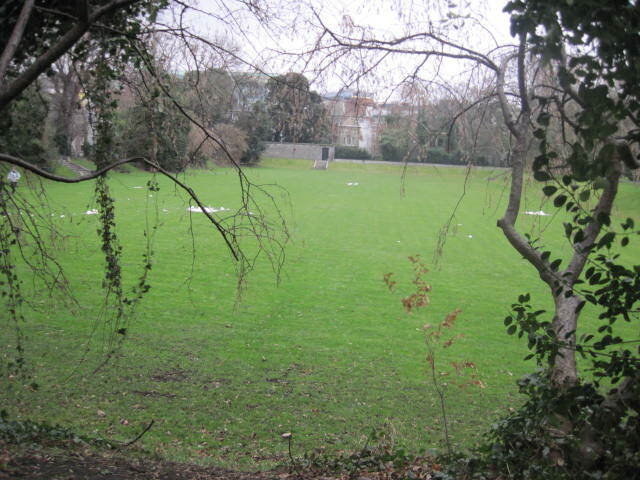 On the plus side the park is one of the quieter ones in Dublin, which in recent times has become a little better known thanks to the comedy festivals that now take place there. And no harm. It is in summer months very much filled with the joys of spring [?!!] but on this occasion I was disappointed. 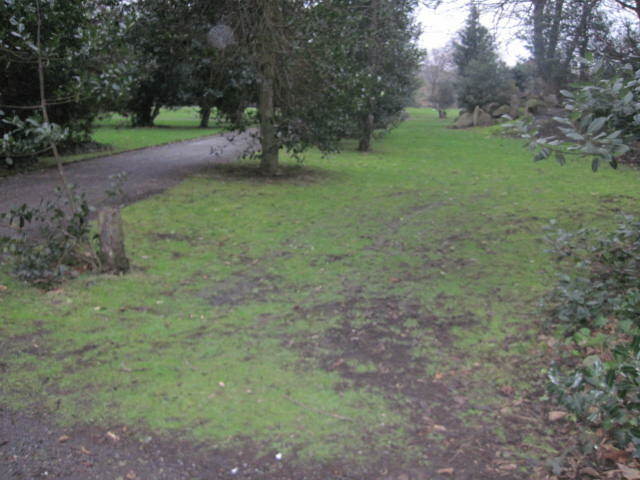 As I said, I really do like this park, overall and to simply escape the hustle and bustle of the city centre. 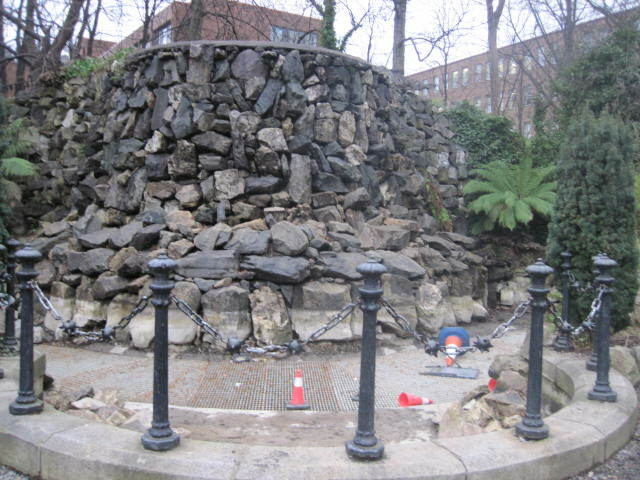 It’s history is also quite amazing and well worth reading up on… that said if I was Lord Iveagh… I guess I’d be a little disappointed to see the missing and semi dismantled sculpts that dorn the parks peripherals. 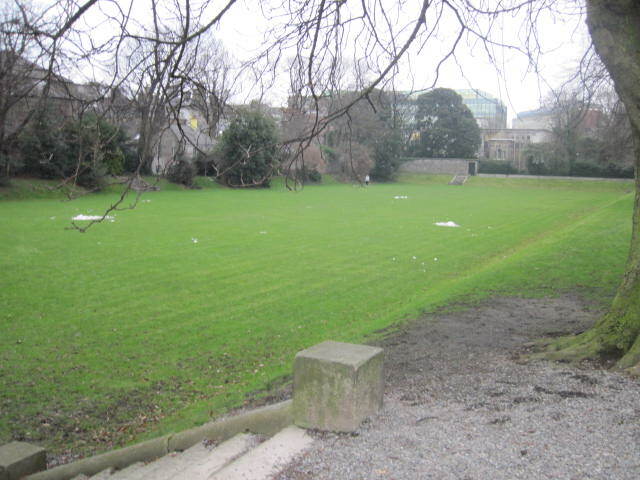 The gardens in their present form were laid out in 1863 by Benjamin Guinness after he had built what is now Iveagh House on St. Stephen’s Green. 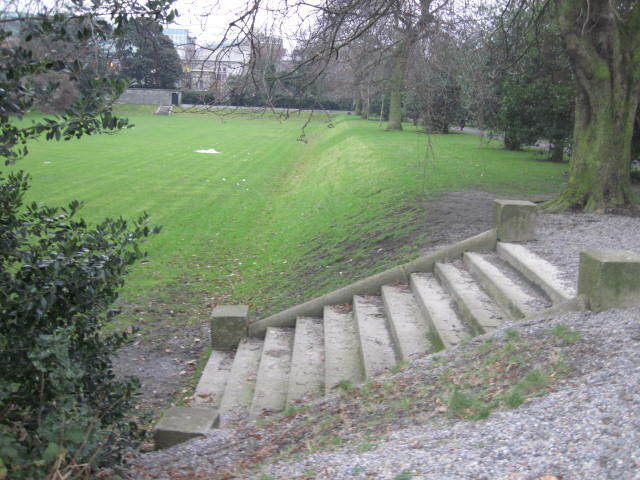 Previously the land had been laid out as a private pleasure garden by “Copper-faced Jack”, Earl of Clonmell. 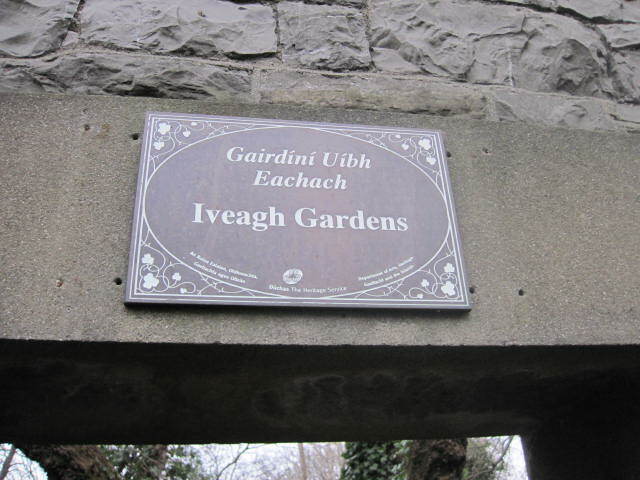 The Iveagh Gardens are among the finest and least known of Dublin’s parks and gardens. 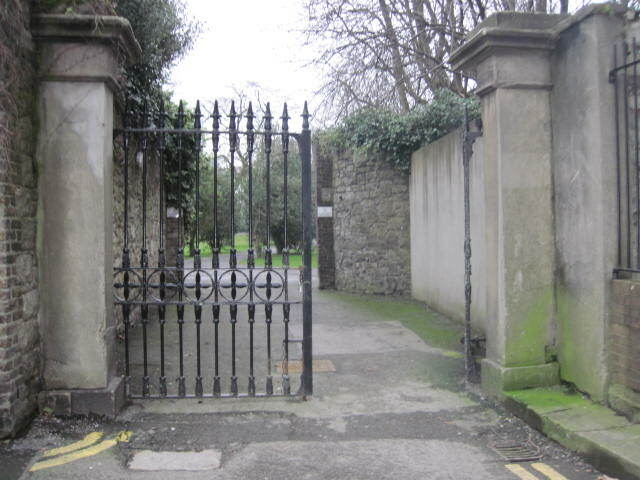 They were designed by Ninian Niven, in 1865, as an intermediate design between the ‘French Formal’ and the ‘English Landscape’ styles. 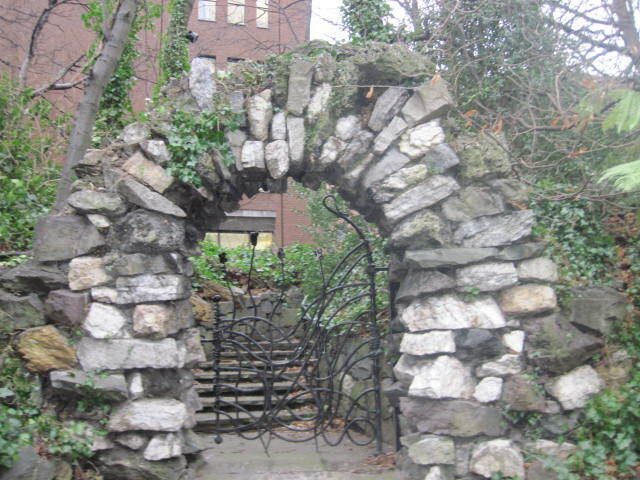 They demonstrated the artistic skills of the landscape Architect of the mid 19th century and display a unique collection of landscape features which include Rustic Grotto’s and Cascade, sunken formal panels of lawn with Fountain Centre Pieces, Wilderness, Woodlands, Maze, Rosarium, American Garden, Archery Grounds, Rockeries and Rooteries. 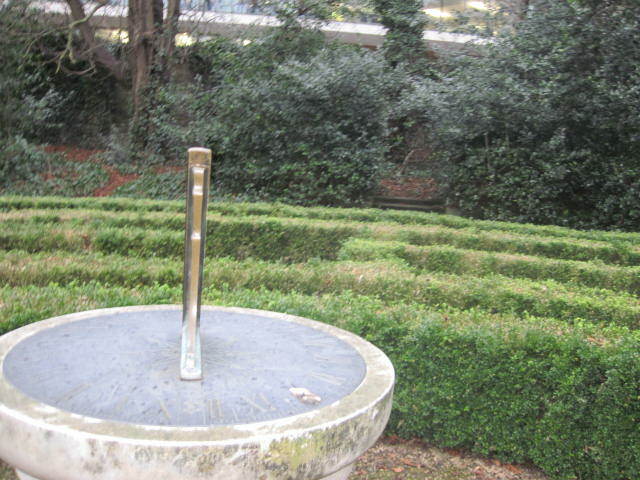 The conservation and restoration of the Gardens commenced in 1995 and to date most of the features have been restored, for example the Maze in Box hedging with a Sundial as a centrer piece. 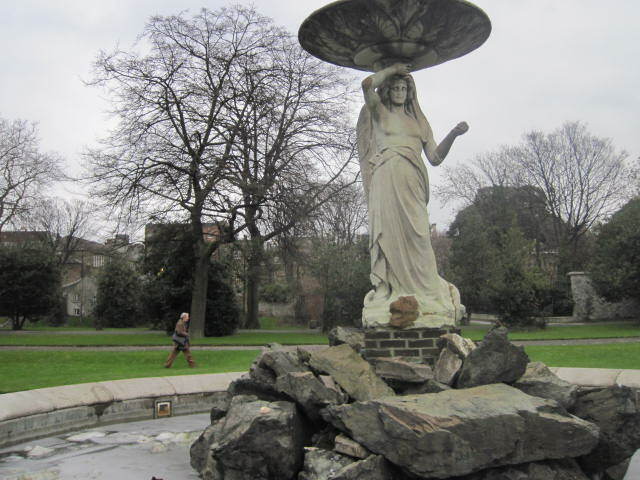 The recently restored Cascade and exotic tree ferns all help to create a sense of wonder in the ‘Secret Garden’. The pre 1860s rose varieties add an extra dimension to the Victorian Rosarium. how green is… a knight[s]?